If you are reading this, likely you are familiar with Ambler and have come to love its “old world charm” as I have. Boasting many turn of the century homes, some quite grand, new construction homes are few and far between in this town of ours. Typically, the 1950’s split levels are regarded as “new construction” by most Amblerites, which is why it is unusual that the majority of homes currently for sale in the borough have all been built within the past few years. As you will see below*, four out of the nine available homes for sale, are 3-4 years old, with another two being only 11 and 25 years old (as stated earlier, they are still considered new by Ambler standards). The four newer homes are located in Station Square, the W.B. Homes community off of South Main Street. Station Square is comprised of 58, three story, luxury townhomes, averaging about 2,000 square feet. The community was a bit of an anomaly itself, as some would say that the odds were stacked against them when they broke ground. At the time, they would be among the most expensive homes for sale in the borough, situated next to the train tracks, and hitting the market during one of the worst real estate markets in U.S. history. They surprised many when they sold quickly, and then quickly sold out. Many naysayers made much ado about the proximity to the train, but that location was no accident. Station Square is a transit oriented development, and as such, it is built around the SEPTA line, using the regional rail as one of its main selling points. With many trying to reduce their carbon footprint, living here enables them to break the chains of the daily drive, particularly for those who work in the city. Many people move to Ambler for the obvious reasons, proximity and walkability to a wonderful downtown, regional rail, great schools, and to be part of a tight knit community, most of them looking for a home that offers the craftsmanship and appeal of times past. 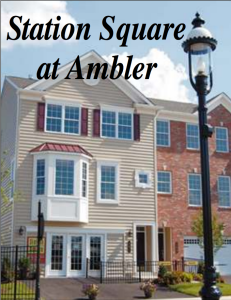 These newer homes open Ambler up to a different pool of buyers, those who prefer more low maintenance, carefree living. 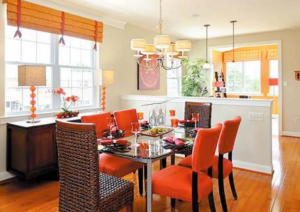 New, high end apartments will soon be available in Ambler, as well. Times they are a changin’! * If you cannot access the homes below, that means they’re no longer available for sale. Two of the six went under contract while writing this post, 115 Mary Ambler Way in 3 days and 210 E Mt Pleasant in 10 days! As you can see, it is a great time to sell your home in Ambler. If you are considering just that, I’d love to speak with you, send me a note. To see a complete list of homes currently for sale in the borough, visit this page. If you would like a broader view, here you can see all homes in the general Ambler 19002 area. We're sorry, but we couldn't find MLS # 6273682 in our database. This property may be a new listing or possibly taken off the market. Please check back again. We're sorry, but we couldn't find MLS # 6325955 in our database. This property may be a new listing or possibly taken off the market. Please check back again. We're sorry, but we couldn't find MLS # 6357526 in our database. This property may be a new listing or possibly taken off the market. Please check back again. We're sorry, but we couldn't find MLS # 6354901 in our database. This property may be a new listing or possibly taken off the market. Please check back again. We're sorry, but we couldn't find MLS # 6350859 in our database. This property may be a new listing or possibly taken off the market. Please check back again. We're sorry, but we couldn't find MLS # 6354220 in our database. This property may be a new listing or possibly taken off the market. Please check back again. 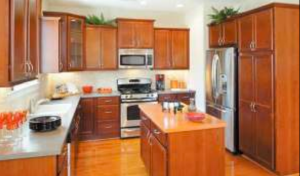 This entry was posted on Friday, March 28th, 2014 at 9:50 am and is filed under Ambler, Real Estate. You can follow any responses to this entry through the RSS 2.0 feed. Both comments and pings are currently closed.